Payment Gateway Integration: A Growth Strategy for developers and SAAS providers. Payment Gateways play an integral role in ecommerce and the ability to embed payment-processing functionality inside applications. Authorize.net founded in 1996 was the first to market. There are now multiple providers of gateway services and although the technical capabilities have evolved the role of the gateway remains the same: to provide a secure method of transmitting payment data from the merchant to the back end payment processor. For many developers and SAAS providers choosing their payment gateway partner[s] is not a decision driven by the potential for the partner to actually help grow their business. Integrate with usual suspects in gateway space, hand off the customer and hope for the best is somewhat standard. Support and funding issues, data hostaging, customer confusion on gateway versus merchant account, lack of payment options [specifically for recurring payments] and more can leave clients frustrated and looking for alternatives. This paper explores these issues and presents alternatives that may lead to happier, more “sticky” users as well as generate additional revenue streams for the integrating application and its stakeholders. In 1996 Authorize.net was founded by Jeff Knowles who saw the need for secure methods to process non face to face credit card payments. The Authorize.net gateway allowed merchants and developers to accept credit card payments online and in non-swipe transactions routing the transactions to the back end processor. Common credit card back end processors include Elavon, FirstData, Global and Vantiv among others. Authorize.net has subsequently changed ownership multiple times and is now a Visa owned entity. Other well known gateway providers include PayPal [PayFlow], BrainTree [now owned by PayPal], Chase, Paymentech and more. With PCI compliance demands gateway providers have had to manage sensitive data storage and the majority accomplish this using tokenization [exchanging full card number with replacement “tokens’ and vaulting data]. By doing so the merchant or developer does not expose sensitive card data in their applications. This can create issues for the merchant. If the merchant changes their software/ASP application and needs to migrate full credit card data they may experience issues in being able to get full card data from the gateway provider. 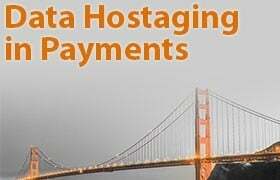 The payment gateway provider MAY have a defined process for the secure data hand off but there are providers who either refuse to help in the process or charge significant fees to do so. The migration process can vary from a few days to a few months depending on the provider. For the merchant this can be extremely frustrating and typically an issue they never expected until it became important to them. Being aware of these eventualities allows you to make a more informed choice in your gateway partner. The usual suspects: Integrating with well known gateways eg Authorize.net is expected as the name is known and recognized. Ease of deployment: If the developer can integrate quickly and the development tools are easy to work with that makes the gateway attractive. In some cases ease of deployment may also come with a payment aggregation model whereby the end user merchant does not own their processing account and has few options if problems arise. Ability to process in multiple countries. Client demand: if a large user asks the developer to use a specific gateway [possibly to use an existing merchant account] this can be the motivation. The typical payment gateway operates as a separate silo from your core business. Your customer needs to accept payment and they leave your ecosystem and interact with the gateway silo. Once the developer/SAAS provider has integrated, their end user client is typically left to establish a merchant account, connect to the payment gateway and then enter credentials into the application. This process can be confusing to the end user, many of whom do not understand the distinction between a merchant account and the gateway. There is also room for confusion in the credentials process. In today’s business world client acquisition costs are very high. Competition for these clients can be fierce and with more technology options available your potential users can see you as one of many solution providers. Handing over a new user to a payment gateway provider without well thought out processes and guidance can lead to frustration and confusion-certainly enough to make the initial interaction with your product a less than stellar experience. What happens when your users need payment related support? Relying on a very large company to make your clients feel like they have been well taken care of [or helped at all] can be problematic at best. 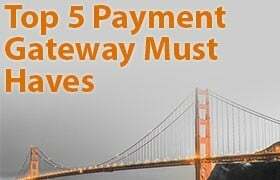 Lack of payment options is also a common issue with the majority of gateway providers. If your service offers any kind of recurring payment or subscription or re-billing option then multiple payment options are a must. An ACH [echeck] options can save the end user 90%+ on processing fees [compared with credit cards]. As an example consider a company billing $100/month to 2500 customers. If all these payments are collected via credit card then the monthly processing fees would likely be somewhere in the $6,000 range [estimating 2.5% as total cost]. Contrast this with an ACH option-the fees are likely $600 [based on 25 cents per transaction and no %]. In this example if half of the subscription billers were using the ACH option your client saves around $30,000 per year. The dramatic savings can become a sales tool and product differentiator for your application. If your application does not offer ACH and your competition does how do you compete with the savings previously illustrated? Case studies of your users leveraging the benefits of your payment options and the ensuing savings make for great sales materials. Although some providers eg Authorize.net do offer an echeck option your users typically pay a premium [.5% to 1% or more]. Some providers may offer a US and Canada option for ACH/echecks although this is typically very limited. A scenario that is becoming very common is that of data hostaging. If your merchant needs their client’s card information and your payment gateway provider either refuses or charges them exorbitant fees your company by extension is going to suffer a) reputationally and b) via added support burdens [they will be looking at you for help]. Your company must know these procedures and policies before they pop up and cause you issues. Payment aggregators [eg Stripe and PayPal] set up sub merchant accounts for your users. This means the merchant account is not owned by your application user but by the aggregator. Although they can be very easy to integrate with and both easy and fast for your end users to get started they can also be problematic. The aggregator funds your users [many times as long as a week from transaction processing] and controls both your client’s user base data and the monies due them. If they perceive risk they can and do hold funds. Obviously if this happens your hard earned client is going to be extremely upset and you will be hearing about it. In addition the aggregator or payment facilitator OWNS the payment data. If your client decides to change payment providers they have no way to bill their client base as the aggregator controls all the payment related data. We have first hand experience with a merchant who sold their business for a great deal of money. The deal almost fell apart at the very end due to payment data migration issues. It is imperative you are aware of these potential issues before it becomes a nightmare for your client. Payment related support should be on your gateway partner and that support should be provided in a way that recognizes how valuable every client is to you. If your end users are not getting the support they need [this is their money we are talking about] your support burdens escalate. In todays world the customer has massive power to spread news of their bad experience. Payment Gateway as a Growth Strategy? Handing off your most valuable asset [your client base] to a gateway and kind of hoping for the best has been the way most software and SAAS providers have gone about handling their payment gateway needs. There are options and if implemented strategically can help grow your client base and revenues. How? Ensure your payment gateway partner provides an easy, defined process for onboarding and continued support. Creating good will at the time of purchase offers your company the best chance of getting great feedback/testimonials and hopefully referrals. A happy customer is the best referral generation strategy. If your payment gateway partner also provides the merchant account[s] negotiate great deals for your users [you have the power]. Hopefully just by using your product the business will save time and money. If you can in turn save them money on processing fees you are again creating good will. This also creates the opportunity to generate referrals for your business. There is never a better time to ask [yes you must ask] for referrals then after you have delivered for your clients. Leverage that good will and generate referrals and referral marketing materials. Offer payment options like ACH. Especially for recurring payments multiple payment options with cost savings are a competitive differentiator. If you can offer a single platform that supports US and Canada processing you are providing a tool that expands your user base to Canada-a whole new market that typically has been tremendously under served with payment processing options. Revenue share model: Your payment gateway provider [especially if they can also set up merchant accounts] should offer you a transaction revenue share model. If every client you have now generates an ancillary income stream you have a much more profitable company. If done properly your clients get better service and more payment options. 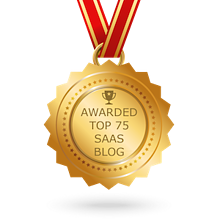 Your company gets a more loyal client and a new revenue source. More value for your users: There is a huge gap or disconnect that your gateway partner can possibly help with. If your service or product also offers a recurring billing solution you have an opportunity to help your end users [and you] generate more value. So often a product is “announced” e.g., “we also offer recurring billing” and then left to your user to make the best of. It’s then up to your user to get the most from this great tool. So they start implementing and maybe get 20% of the potential base to use recurring payment auto billing. What if they had a step-by-step plan to implement and get maximum participation rates? That 20% can become 60% or more and their billing/payment collection becomes automated. They have reliable cash flow and much more time to work on revenue generating business tasks. You have delivered an invaluable tool they just can’t possibly live without. Not to mention that if you are getting a transaction revenue share you are tripling your income stream. Improved client retention rates: By delivering value beyond expectations you generate more loyal clients. This increases lifetime client value and your ability to cross sell, upsell and leverage potential referrals. You should also examine recurring payment exception handling as reducing decline rates in billing can also be a significant revenue lift plus a reduction in time spent on rebilling. Merchants in the recurring/subscription billing model often see credit card decline rates close to 10%. If your gateway partner can offer strategic handling and representment of these transactions and significantly reduce decline rates you again have a competitive advantage. As an example let’s say a merchant bills 1000 customers $49 per month and your offering reduces declines from 10% to 7%. You have produced a $1500/month revenue lift and cut in half time [=money] spent rebilling-now that’s ROI. Summary: Your Payment Gateway choices must be considered strategically. A true partnership provides you and most importantly your end users more options and value. Rather than handing off your hard won client to a payment gateway provider and hoping for the best you can use the gateway partnership to help cement your client relationship. You can use your payment gateway/processing partnership as a lead gen tool. The right partnership can help grow your business and get your application in front of more clients. 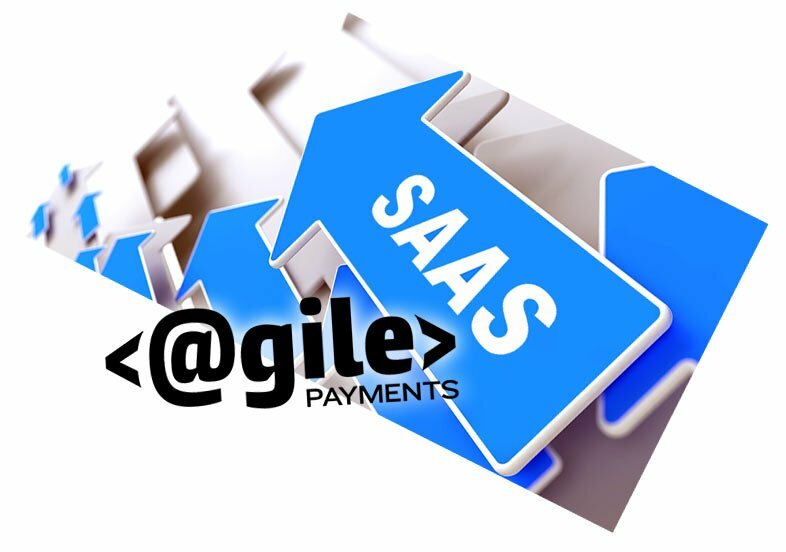 If your company was able to bump revenue buy 10% via a gateway partnership, grow customer base by 10% through your differentiated payment solution and another 10% by leveraging referrals from your very satisfied clients [that you help save time and money] your revenues and business valuation grow by 33%. Bump each area by 20% and you see 73% revenue increase. Get to 25% bumps and you just about double your business. Not to mention that your client retention rate significantly improves. So give careful thought to your gateway partner. It can without question become a growth catalyst for your business.